Oh boy, I’m headed into very controversial territory here! 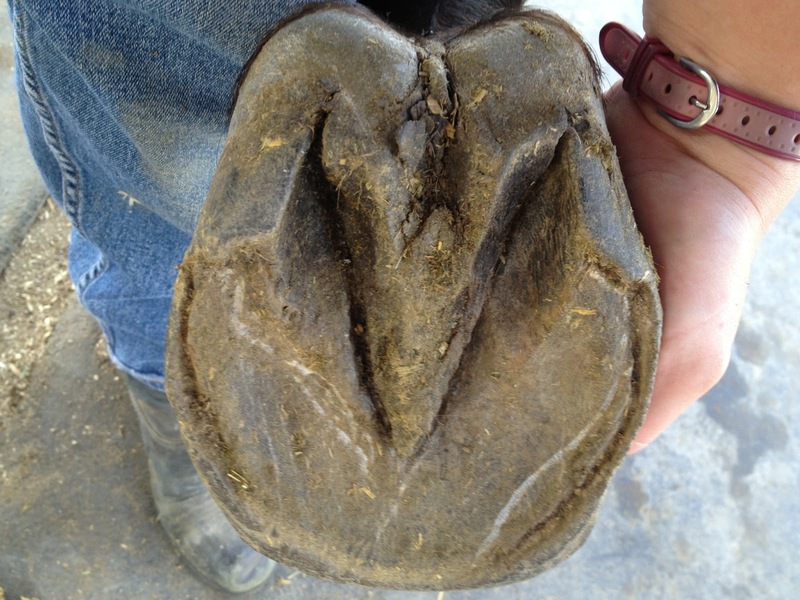 It is a sister to the barefoot-vs-shod hot-button topic: the concept of self-performed farriery. 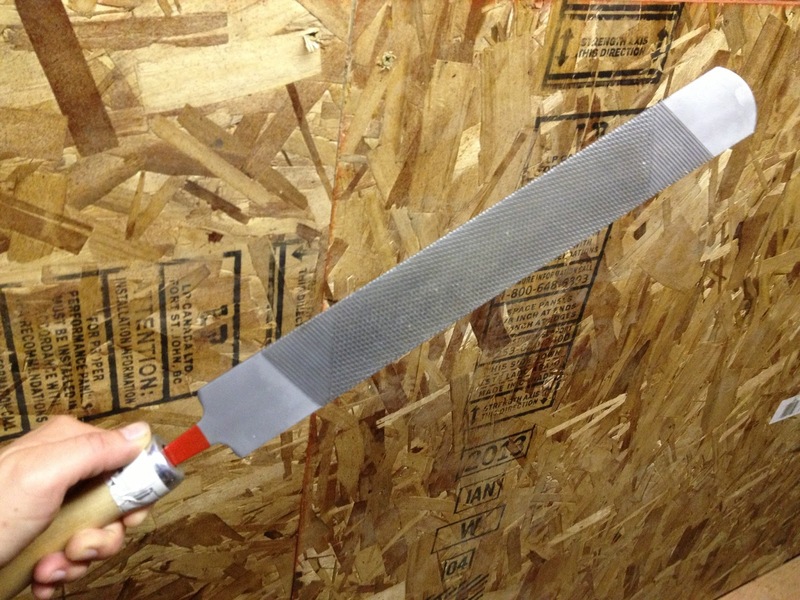 And yet…last week I purchased a rasp. 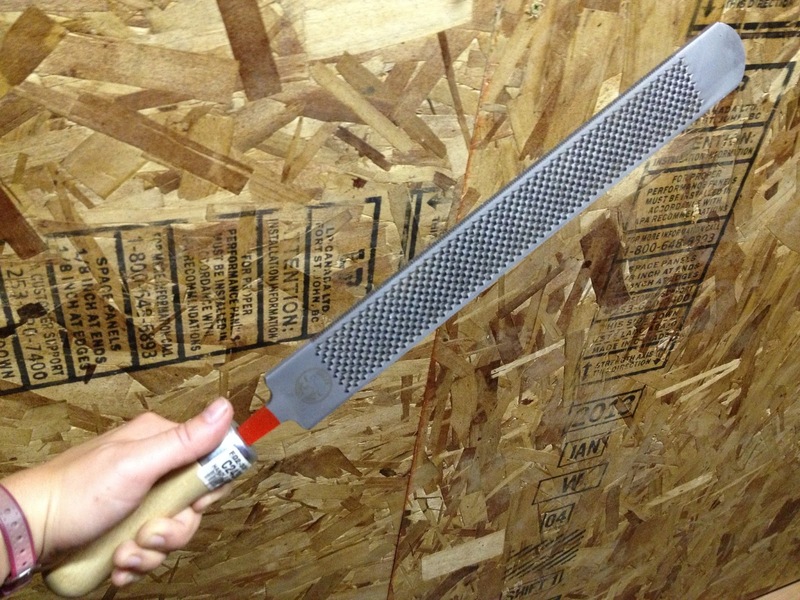 It is a Red Tang farrier rasp, double sided, with a wooden handle. A local gal here in the West Coast eventing scene successfully competes her horse barefoot, doing half-star training level. And when I say successful, I mean in the ribbons regularly, getting year-end awards consistently, and regarded highly by her peers and trainers alike. Like me, she isn’t a die-hard barefoot freak – she is an intelligent woman giving barefoot a solid chance because of its benefits. She has been kind enough to share some of her experiences and methods with me, and in fact just the other week I got to meet her and her horse in person to see how she does “touch up” in between barefoot trims. 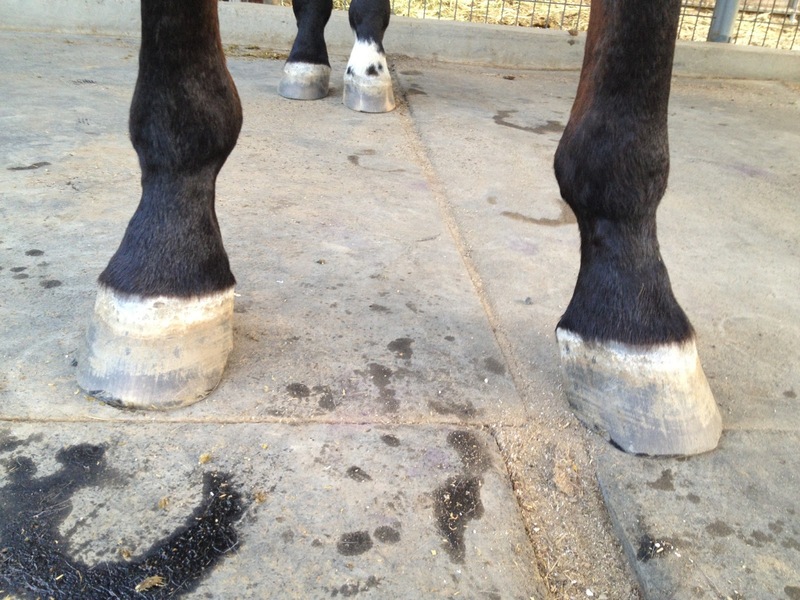 Her horse’s hooves were the most gorgeous, well-angled, well-formed, well-textured hooves I’d ever seen. Clearly she is doing something right (in combo with her horse having great genes, I suspect). 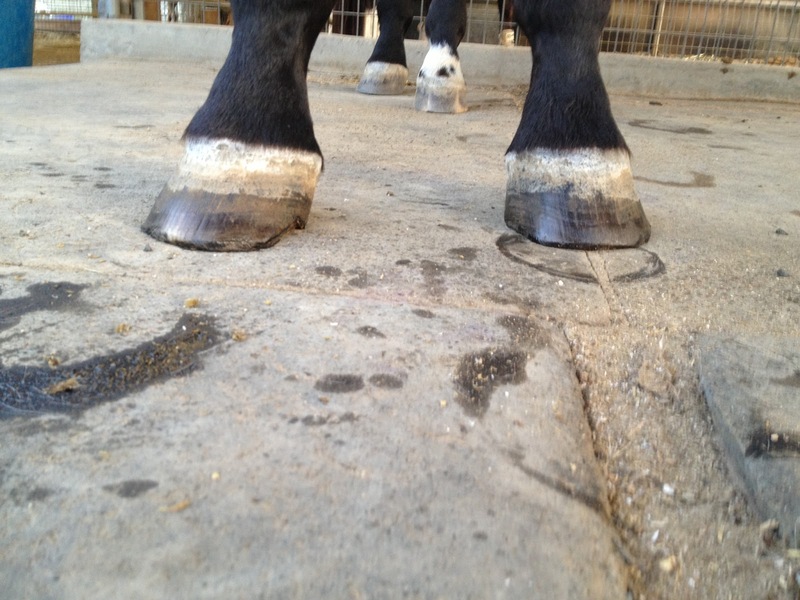 After that experience, I was able to look at his hooves with fresh eyes and compare them to these amazing hooves. Hemie’s have a long way to go, and I need to do what I can to help them along. Hemie’s back hooves look better than his fronts, which is not surprising since they haven’t had shoes in 1 year whereas the fronts have been barefoot for only 4 months. His right front is looking the worst of the group, due to significant chipping and uneven wear. You can see vertical as well as horizontal striping, and a small chunk missing on the inside from where chips broke off. The left front has a more rounded toe, and less chipping, but visible striation. For the last week I’ve been applying the Keratex hoof hardener, and trying my hand at touch up rasping. The idea is to address small chips to prevent them from becoming larger ones. Like anything else, this is a physical task which takes practice to develop skills. IE, I don’t think I’m doing a great job at it yet, but you gotta practice to get there! After a light rasping. Dark spots show where I rasped. As to the bottom of the hooves, it is interesting to note how soft or hard they look and feel before versus after a ride. Left front, after hoof-picking before tacking up to ride. Luckily Hemie has been very patient and tolerant of his mommy’s shenanigans. He calmly lets me fuss with his feet for 5 times longer than I ever used to each day. Good pony. I personally don't really have any interest in doing this but my horse also isn't barefoot. If I knew more about correct angles/ etc I might consider it but still not likely. I prefer to leave this aspect to my trusted farrier. I got confused there for a moment! 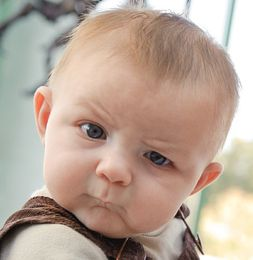 I've never heard the term 'self-performed farriery' before – I thought it refereed to the practice of never touching your horse's hooves and letting them just chip away. Nothing wrong with taking control of your horse's hoofcare IMO. Power to ya, i don't even like filing my own nails ;) As long as you are careful and don't go crazy I think its a great idea, you should be able to prevent at least some big chips and issues. That's cool! I would love to be more hands on with Simon's feet and farrier care. I felt that way for my whole life until very recently. Farriers have much more training and experience than even the most educated of horse owners. I don't know enough about angles to do any sort of actual trimming, but a light rasp of jagged-edged chips to prevent a larger issue is something I'm willing to give a shot. 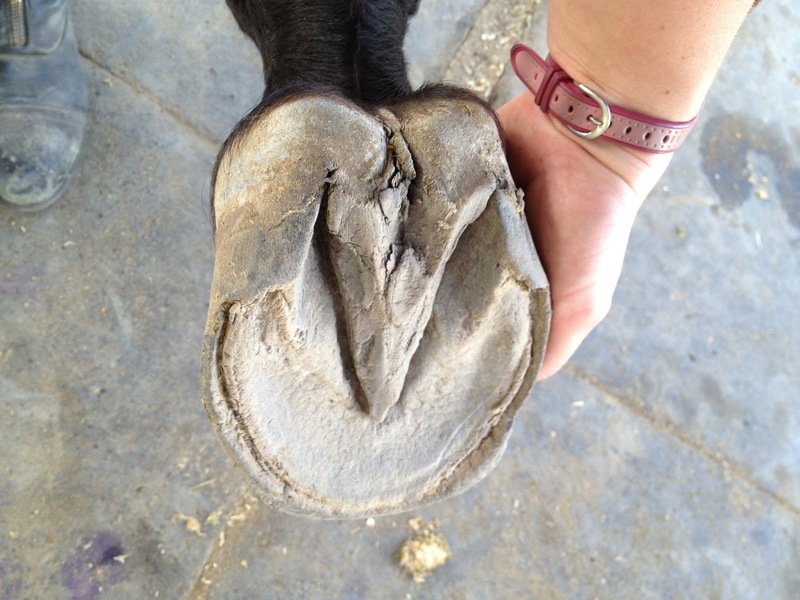 Oh boy if I ever become one of *those* owners who ignore their horses' hoof care, please shoot me! Hahaha, yeah its the biggest, scariest nail file ever. At this point I'm so nervous and conservative, I wonder if I'm even doing anything! But better that than taking too much, I think. Thank you! 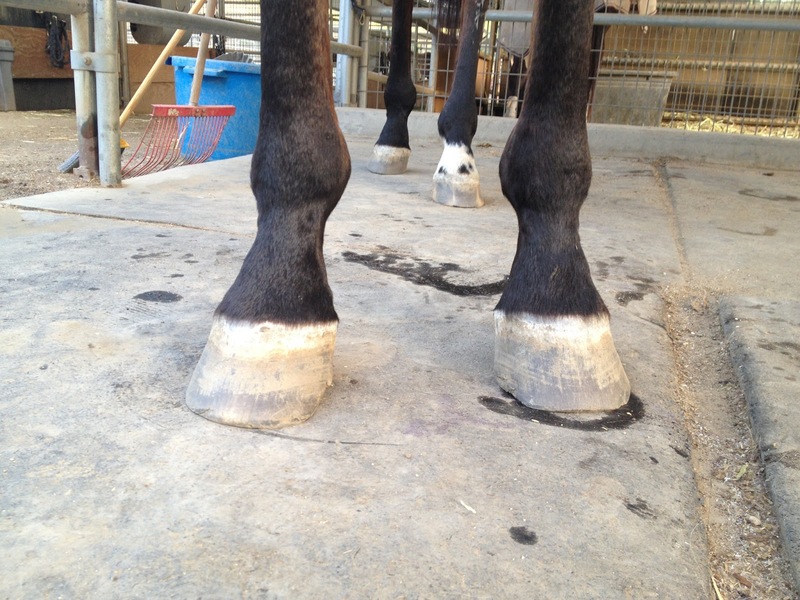 It is pretty amazing how their hoof works and how artificial lifestyle (aka boarding) really does affect hoof health and shape. So who is doing his main trimming if not you? I think his feet look pretty good for a 4 months transition. My only observation would be to back those heels up pretty aggressively, but sometimes that takes some time. :) I also think that with good guidance and support the whole business of angles and whatnot gets a lot simpler and less scary. I was worried for a second!